I have been with Dr. Blecha since 1996. Throughout the years it has always been an encouraging and exciting work environment. I have had the pleasure and privilege to help accommodate patients with their oral surgery needs. I enjoy working here because I know at the end of each day that our practice has gone above and beyond to provide exceptional patient care. I enjoy meeting and greeting all of our patients and getting to know them on a personal level. I try to make their visit to our office as pleasant as possible. It is a great feeling being able to help them with their individual needs. I have worked for Dr. Blecha for 23 years. I would have to say my favorite part of working here is the time I get to spend just talking with the patients. I have learned so much about life from our patients. I also love the lab work I do. It is so gratifying to see the patients at their post-operative appointments, to see how we have helped them and they are doing so well after surgery. I enjoy my position as a surgical assistant here at Dr. Blecha’s office because making our patients feel comfortable and at ease for and during their procedure is our number one priority. The office is clean and Dr. Blecha is well educated and uses the latest technology. I enjoy being a surgical assistant and helping to make a patient’s visit more comfortable. It is great being a part of Dr. Blecha’s team and being able to work in such a beautiful office. We are always striving to learn and to be better each day at what we do. I have been with Dr. Blecha for three years and feel very blessed that I am part of such an awesome team. I love to work with and help our patients every day. I love working at Dr. Blecha’s office as a surgical assistant because it is very gratifying. I love to talk with the patients to help calm their nerves and make them feel comfortable in our office. 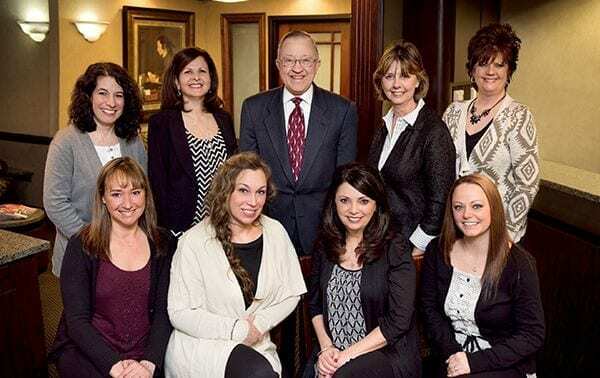 Dr. Blecha and my coworkers all work together as a team to achieve the best patient care we can give.